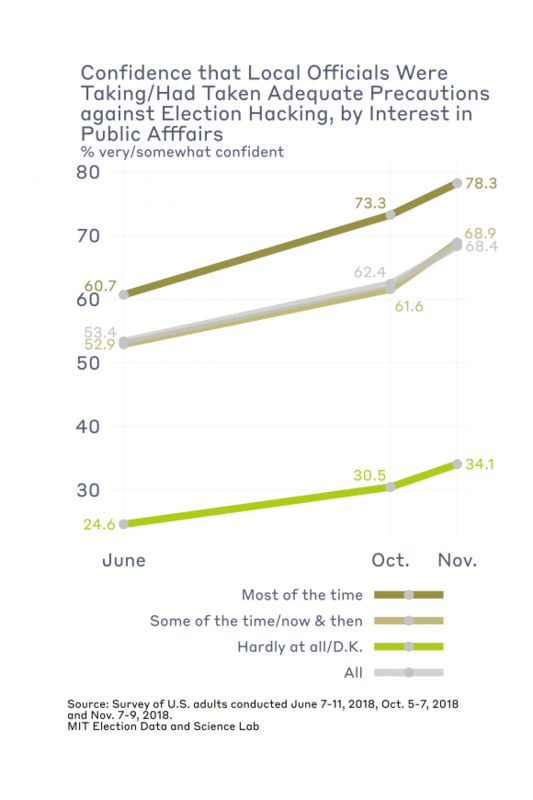 However, the public was already becoming more optimistic about cyber-preparation before the election. Last June, 53% of the public stated they were either very or somewhat confident that local election officials had “taken adequate measures to guard against voting being interfered with this November, due to computer hacking.” By October, this proportion had risen to 62%. Immediately after the election, 68% of the public stated they were either very or somewhat confident that local officials had, in fact, taken adequate measures to guard against computer hacking in the election. 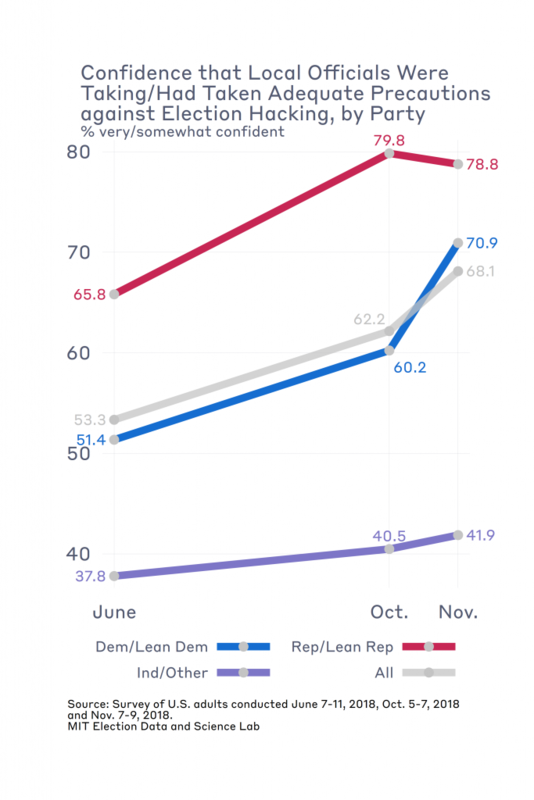 The data in this post were taken from three surveys I conducted during June 7-11 and October 5-7, before the election, and during November 7-9, after the election. In each case, I interviewed 1,000 adults as a part of the YouGov Omnibus survey. Be the first to comment on "MIT’s Charles Stewart on Public Opinion About Cybersecurity in the 2018 Election"